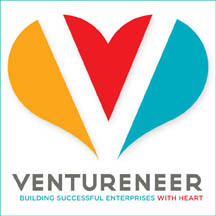 Ventureneer webinar takes the mystery out of cloud computing for small business owners and nonprofit officers who want to use technology to leverage their resources. Cloud computing makes collaboration and data storage so much easier that nonprofit leaders and small businesses owners owe it to themselves to check it out. Cloud computing may be just the thing you need to increase efficiency without spending a lot. Confused about cloud computing? That's no surprise when one expert praises its low cost and ease of implementation and the next expert condemns its lack of reliability and security. Confusion about this leading-edge technology may make small business owners and nonprofit leaders unwilling to use it. Although it sounds airy, cloud computing is solid technology that businesses of every size have found useful. Because cloud computing is so seldom defined clearly, many people don't realize that they're using it already when they sign up for Gmail, Yahoo! or Hotmail. "Cloud computing makes collaboration and data storage so much easier that nonprofit leaders and small businesses owners owe it to themselves to check it out," says Geri Stengel, founder of Ventureneer. "Cloud computing may be just the thing you need to increase efficiency without spending a lot of money." The free webinar will be held on Thursday, April 22, from 2pm to 3pm EDT. It will be taught by Jason Hutchins, president of Nonprofit Solutions Network, which specializes in customized, affordable IT services for nonprofits and small businesses. Since 1998, NSN has helped nonprofits boost productivity, lower costs, and improve their overall operation through the use of technology. In plain talk, participants will learn how to determine if the rewards of the cloud are worth the risks. Senior level management of nonprofits and small businesses, including CEOs, COOs, and CFOs as well as office managers, the head of marketing and the head of IT will benefit from this free webinar.